There is a peculiar state of mind called the “fog of war” that affects soldiers engaged in military operations. 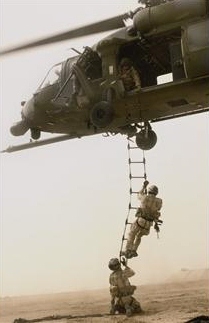 The phrase was coined by the early nineteenth century military strategist, Carl von Clausewitz, to describe how uncertainty, ambiguity, and fear, “…gives to things exaggerated dimensions and unnatural appearance.” He maintained that it is a challenge to see things as they really are on the battlefield because the stakes are so high – literally life or death – and vitally important information is often incomplete or inaccurate. The natural impulse is to over-react and see phantoms and ghoulish enemies that are not actually there. How soldiers and commanders deal with this fog, von Clausewitz maintains, is one of the biggest determinants of who will win the battle. It has been my experience that this fog of war is not limited to the battlefield. Rather, many of us wake up every day and engage in a perceived fight for our lives against forces that seem to be attacking us from all directions. We are constantly either on the defensive or the attack and often “over-react and see ghoulish enemies that are not actually there.” Life is seen as a constant competition and if, “I’m not winning,” then I am in mortal danger. It is an exhausting way to live and can lead to all sorts of physical and psychological problems. There are a variety of techniques designed to help us navigate through this fog: mindfulness exercises like yoga and meditation help us focus on what is real and “stay in the moment;” aerobic exercise clears the mind and dumps endorphins into our systems, helping us to regain balance and vital energy; anti-anxiety and anti-depressant medications regulate the chemicals in our body so we can better cope with the stressors of life; going out into nature “recharges the batteries,” etc. For soldiers, repeating the same tasks over and over during training helps them switch into autopilot when the fog hits so that they are able to do what needs to be done even in the most horrifying and extreme situations. While all these techniques are effective to one degree or another, they do not address the root of the problem. According to Chassidic philosophy, the most basic and fundamental answer to the fog of war is to simply stop viewing the world as a battlefield. Chassidism teaches that our purpose in life is to help bring about the Messianic era, when all violence, hatred, lack, and evil will be removed from the earth and that every time we act in a way that draws people together rather than pushing them apart, we bring this utopian state closer to fruition. According to the Chassidic masters, the best way to stay in this mindset is to act “as if” the Messianic era had already arrived. Obviously, anyone who scans the geopolitical landscape would struggle with a statement like that. Unfortunately, thousands of events rock our planet daily that demonstrate conclusively that the Messiah has not yet arrived. However, in our personal lives – where we exhibit at least a modicum of control – we do have the ability to live as if we are in the Messianic era by resisting our initial impulse to see everyone around us as competitors and instead start viewing them as partners. I have been involved in several effective collaborative projects, and the tipping point towards success always occurs when we start to see ourselves as sharing common interests and benefiting equally from the cooperative effort. We push through traditional rivalries because it becomes obvious that the old saying, “A rising tide lifts all boats,” is actually true. It is this sort of spirit that will epitomize the Messianic era. So why not get a head start on the benefits of that age by living as if it has already arrived? It is as simple as tweaking one’s mindset. That is, when I start to see the person next to me as a potential partner rather than a competitor threatening to take my “last piece of pie,” then I will truly push this world one step closer to perfection. Chassidic philosophy promises that over the course of time, small actions on the personal level can actually impact and change the wider world. Along the way, I will experience much more success and happiness in my personal life because I will have finally emerged from the fog of war into the brightness of day. Living authentically means that my external behaviors accurately reflect my internal self. That is, what I do and say in the world at large aligns with what I think and value inside my head. In Chassidic thought, a person who lives truthfully is called an atzmi, which is related to the Hebrew word etzem (bone). This implies that in order to be authentic we have to identify and consistently articulate our most essential selves - those aspects of our personalities that best define who we are. So often, our public selves are instead an ever-shifting series of masks or personae that we put on to either keep ourselves safe or to opportunistically achieve some desired result. This may be expedient, but over the course of time we will lose touch with who we really are and become alienated from ourselves. Of course, this does not imply that we should never compromise or adapt to various situations. Rather, it means that whatever compromise is achieved must reflect our core values so that we do not find ourselves living at odds with our most fundamental truths. Many years ago there was a Chinese emperor who was getting on in years and fretting over the fact that he did not have any children to continue his legacy. Therefore, he devised a plan that would help him identify the one person in the kingdom best qualified to rule after him. He randomly invited hundreds of people to his palace and announced that one of them was going to be the new emperor after he died. The astounded assembly gasped and trembled to hear what the emperor would say next. He lifted up a bag filled with seeds and stated that they would each get one seed and that the new emperor would be selected based on the quality of the plants produced from those seeds. A small boy was among the crowd that day. He excitedly got his seed and took it home to his mother. She helped him plant it in a small pot, water it, and place it in the sun. 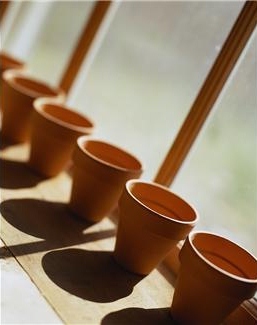 He dutifully cared for the seed and watched hopefully for something to sprout, but it never did. Several weeks went by and nothing happened – he was left staring at an empty jade pot. Of course, the entire kingdom was quickly abuzz with the news of the contest and everyone was talking about how the people with the seeds were doing. Tales of the exotic flowers and full, bushy plants being tended by the contestants filled the streets and market places while this small boy looked forlornly at his pile of dirt. He became more and more depressed as time wore on. A whole year passed and the emperor summoned everyone back to his palace to judge the products of their labors. The boy meekly joined the others streaming back to the emperor with their wide variety of flowers, plants, fruit trees, and shrubs. A veritable walking botanic garden filed through the gates and into the main courtyard. The boy found his place at the back of the assembly and tried to hide. The emperor suddenly stepped onto a platform and surveyed all the plants before him. There was absolute silence for many minutes until his eyes finally landed on the small boy with the empty pot and he signaled for the guards to bring him to the front. They shouldered their way through the crowd and brought the boy to the emperor who hugged and kissed the shocked lad. The emperor gazed out at the people and proclaimed in a loud voice that their new emperor, who would take his place after he died, was standing before them. The emperor then revealed that all the seeds given out a year ago had been boiled. Therefore, there was no way that any of them could have sprouted because they were all dead. He shook his head sadly as he explained that everyone, except this boy, must have replaced their seeds. Only he was fit to rule, because only he had the courage to honest. We often feel compelled to say or do things contrary to our own belief systems because we feel that we will be judged poorly if we do not. We’re worried that we will not “fit in” or “move forward” if we do not present ourselves as we think others want us to be. While there might be short-term advantages to this approach, over the course of time, we will grow further and further away from our true selves and lose sight of who we really are. This is a problem from a Chassidic perspective because each of us was born according to G-d’s design and the Creator is waiting expectantly for us to employ our innate talents, traits, genius, and quirks. There is a unique role for each of us to play in the perfection of the world which will remain unfilled until we live according to our true selves. This keeps the ultimate fulfillment of creation on hold until we can discover and utilize our essential personalities. On his deathbed, the great Chassidic master, Reb Zusia of Anipoli, said that he was not at all concerned about being asked – upon arrival in the world to come – why he was not more like Moses, Abraham, or King David. However, he was very worried that he might be asked, “Zusia, why were you not more like Zusia?” Each of us is obligated to fully use the gifts endowed to us by the Creator. This often means having the courage to truly be ourselves even when this makes us appear out of sync with those around us, because the truth is, that they may have all replaced the seeds given to them by the King with those of their own making. Today marked the 1000th visitor to Adding Light! If you enjoy the articles here, please share them with your friends and check back regularly for new posts. It is a Chassidic custom to eat heaping portions of marror (bitter herbs – usually raw horseradish) during the Passover Seder. In my case, this practice typically leads to tremendous coughing fits and a huge outpouring of tears. Someone once asked me what I think about while doing this. My immediate answer: I think about all the things in life that should make me cry, but don’t. There is a lot of pain and suffering in this world. Desensitization is a survival trait that allows us to keep functioning and getting things done even when we witness one tragedy after another. In fact, people who are extremely sensitive and possess great empathy often struggle because they cannot effectively shut out others’ pain and can become debilitated by it. For example, I have worked for years with heroin addicts and I have always been amazed at how sensitive they are – as a group – to the plight of others. In fact, they are so sensitive that they feel compelled to turn to the numbing effects of the drug to shut it off. Learning how to relate to a world that is so full of hurt is one of life’s great endeavors. It leads to many personality types – and potentially, to lots of psychological problems. It has been my experience that pretending that the suffering of this world does not personally affect me is a dangerous delusion. Deep down, we all know that we are interconnected to everything around us and therefore impacted by the travails of others. We also know that hard times catch up to everyone sooner or later. The challenge is to be open and sensitive to what is going on around us while not being overwhelmed by the sadness of it all. In order to do this, we must develop a purpose that gives meaning to both the good and the not-so-good times. Tikkun Olam teaches that the world is a work in progress and that G-d has enlisted us as partners in its completion. There is an end goal that we are all working towards, and the truth is that some things need to be broken along the way in order to achieve it. This idea is played out in nature all the time. For example, if we want a loaf of bread we must start off by plowing under a pristine field, violently ripping and breaking up the ground. Then we bury the wheat seeds under the dirt. After a while, the seed casings begin to rot and decay, which allows green shoots to sprout forth. 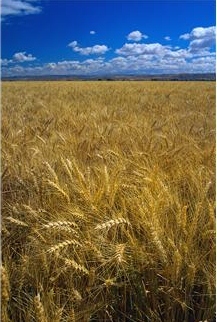 Soon, the field is covered by a soft green blanket of young wheat plants that will – over the course of months – mature into tall, straight stalks. Next, we destroy these “amber waves of grain” by slicing the wheat plants at their stems, gathering them up, and then beating and shaking the plants in order to separate the kernels from the chaff. Grinding the grain into fine powder between large stones is the final step. At last, we have flour, which is the essential ingredient for bread. Agriculture is a process of constant transformation from one state to another, often accomplished by destroying the original form. In order to plant, we have to “destroy” the field. In order for the shoots to emerge, the seed casings have to rot. In order to get the grain we must “kill” and “traumatize” the plants. Finally, we have to pulverize the seeds into flour. It would be hard to justify this operation if there were no worthwhile product at the end of the day. However, we do not feel any guilt because the bread we eat sustains life, and therefore the entire operation is purposeful and meaningful. We can view the course of human history in the same way. We have been working towards an end goal for thousands of years, namely the messianic era which will bring the world to completion and perfection – and bring an end to suffering. History creates limitless opportunities for deepening relationships between people and drawing us all together in a spirit of cooperation. Look how recent earthquakes in Haiti and Japan have triggered massive, world-wide outpourings of giving and mobilized entire nations to respond with coordinated relief efforts. The proper response to suffering is to reach out and connect to others in a way that alleviates the situation. New and deeper relationships can result from a crisis when we are able to stave off despair and actively pursue the goal of improving the lives of those in pain. When we respond to life’s suffering in this way we bring the world one step closer to completion. This perspective allows us to remain active, purposeful, and even joyful, while not shutting ourselves off from the real hardships that surround us. It encourages us to focus our efforts on bringing an end to suffering because we realize that this is the ultimate purpose of our lives. I have found in my therapeutic practice that a lot of our problems are self-created with the subconscious intention of keeping our thoughts away from the ultimate meaning of our lives. Nihilism - which is the belief that all endeavors are ultimately futile and devoid of meaning - is the greatest threat to our psychological and emotional well-being. It undermines our motivation and resolve and we instinctively shy away from anything - including peace and quietude - that might open us up to this manner of thinking. My first clinical supervisor once told me that many psychological problems, at their core, are existential in nature. The unspoken and unanswered question is, "What is the meaning of it all?" After many years of clinical practice, I believe that he was right. The answer to the problem of nihilism, according to Chassidic philosophy, lies in King Solomon’s use of phrase “under the sun.” The sun is symbolic of the source of all life – G-d. When we live our lives detached from the Source (“under the sun”), viewing life as merely an endless pursuit of human needs and pleasures – devoid of any bigger purpose and meaning – then we will always be left empty at the end of the day. But if we see our lives as connected to G-d’s plan to bring this world to perfection – ushering in the messianic era – then we can find the purpose of even the smallest of actions. For example, a typical office session might include a client's narrative detailing the many mindless and aggravating tasks the she has to accomplish in her normal day. She is very disheartened by it all and has to literally drag herself from one thing to the next. The client reports that she is, "just sick of it" and can’t see the value of, "keeping at it day after day." With these factors out in the open, we can slowly examine the path of her day, finding how it impacts her life and the lives of those around her. We then can broaden the inquiry to determine how her responsibilities fit into the needs and workings of the broader community. Finally, we investigate how these seemingly mundane and repetitive tasks are absolutely necessary for G-d’s plan for humanity to come to fruition. She may have a strong belief in G-d, but she has neglected to explicitly attach her actions to G-d’s purpose. This exercise is usually extremely valuable – allowing her to take heart from seeing how everything she does is tied to something bigger than herself. Consciously attaching what we do to the infinite source of life provides our lives with depth and meaning. We should start off each day with a quiet meditation linking our “to-do” lists with G-d’s bigger plan, and we should end each day with an accounting of how we did. This will keep us from living “under the sun,” and far away from nihilism. There is a story that describes how – after death – a certain soul is shown two different rooms upon its arrival in olam haba (the world to come). The first is a gorgeous, oak paneled dining room with chandeliers, a long table, and high-backed chairs. A feast is set with all kinds of foods, wines, and delicacies and a constant stream of servants approaches the table offering new dishes and extravagant drinks to try. However, the soul is shocked to see that emaciated diners sit around the table, moaning and wailing with hunger. Although there is a banquet in front of them they are starving because four-foot long forks have been attached to their arms. 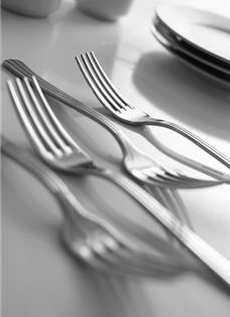 Try as they might, the long protruding forks prevent them from putting the food into their mouths. The soul rushes out of the room in horror and is immediately ushered into the second room. This room is identical to the first one, with the same oak paneling, chandeliers, long table, and high backed-chairs. There is a feast set, with servants bringing all kinds of food and drink. Diners sit around the table with the same four-foot long forks attached to their arms, but instead of moaning and screaming with hunger, they are happily chatting and eating the banquet in front of them. The only difference between the first group and the one in this room is that - instead of trying to feed themselves - they are feeding their dining partners on the opposite side of the table. Often times the only difference between heaven and hell is our attitude and approach. Chassidic philosophy teaches that, sooner or later, a self-absorbed and self-centered personality will lead to misery because it runs contrary to the purpose of our births: to partner with others in a mutually beneficial manner that will repair the deficiencies of the world (tikkun olam). We are not designed to be closed off and indifferent to those around us. Rather, this is an attitude that results from insecurity and fear. Somewhere along the way, a greedy person came to believe that there is only one pie and that, “when your piece gets bigger, mine gets smaller.” They have never learned or experienced that by working together there is more to be shared by all. In the late nineteenth century, many people viewed the world through the lens of what is called Social Darwinism. The notion of “survival of the fittest” was used to justify elite groups and powerful nations subjugating whole populations based on the belief that it was simply the natural order for the strong to exploit the weak. This philosophy was the foundation for the colonization of entire continents and the fascist creed of Nazi Germany. Even today, many people think that succeeding in this world is a “kill or be killed” proposition, even though the vast majority of relationships in nature are symbiotic rather than predatory. I have learned through my therapeutic practice that psychological and emotional health result from learning how to tear down the barriers between ourselves and the world and open up to new forms of cooperative relationships with those around us. This can be a scary proposition for many because there is always the possibility of getting hurt when we reveal ourselves to others. In order to have the courage to do this I would suggest that it is helpful to see the endeavor as something bigger than ourselves. Learning to bring people into our lives in a healthy way should not just be for our own benefit. Rather, it needs to be seen as actually fulfilling the mandate of our births. It is a fact that people are better able to overcome difficulties and complete complex tasks when they are participating in a project that they see as bigger than themselves. When we view our personal existence as purposeful rather than just a fluke of nature, then we can gain the courage to reach out to others around us and work together toward the common goal of bringing peace and bounty to this world. Along the way, we will begin to experience this world as a feast rather than a famine. If you ask the question, “What is the opposite of death?” most people will reply, “Life.” From a Chassidic perspective however, the answer is actually birth. Life is eternal, and death and birth are merely events – transitions from one sphere of reality to another. I bring up this point in my therapeutic practice when I see that a client’s anxiety and depression is resulting from constrained vision and perspective. It is the most natural thing in the world to belittle ourselves and fear uncertain futures when we focus on our low status as finite, mistake-prone beings. However, the truth is that our time in this world is just a snap shot – a brief moment – and that in reality, our souls span across infinite worlds and eternal epochs. We are actually much bigger than we appear to be. The previous Lubavitcher Rebbe, Yosef Yitzchak Schneersohn, was once interrogated by the Soviet secret police. Frustrated and enraged by his lack of cooperation, his interrogator finally pulled out a gun, pointed it at him, and said, “This little toy has made many men talk!” The Rebbe replied that “this little toy” could only frighten someone who believes in one world and many gods, but because he believed in many worlds with only one G-d, it didn’t scare him at all. Because the Rebbe lived in a state of constant awareness of the ultimate truth, he was able to stay strong and true to his ideals even in the most horrifying situation. In order to remain vital and hopeful through challenging and disheartening situations, we must expand our perspective beyond what is right in front of us and remember that we have souls that live both in this world and outside of it. A stream of helpful information is constantly broadcast from those aspects of ourselves that exist beyond the confines of normal life. Accessing this stream allows us to live in our higher selves and stay in sync with a larger reality. Unfortunately, we generally remain oblivious to this source of wisdom because we just don’t tune into it. From a Chassidic perspective, the human mind is not just a receptacle for memories and information. Rather it is understood to be a type of jamming device whose main function is to screen out any information that is deemed irrelevant to the situation at hand. The “default setting” of our minds generally restricts any information that does not pertain to food, shelter, and reproduction from entering into our consciousness. If we want to go beyond this limited vision and tap into our full soul power, we must “reprogram our settings” so that the mind will allow more subtle messages to come through. Imagine you are sitting on a bench in Manhattan. It is 3:42 a.m. and all the night’s revelers have finally gone home and the day’s first delivery truck has yet to arrive. It is actually quiet and you breathe deeply. An old man approaches and sits on the bench. You can faintly hear him humming a tune and you strain to listen. It is the most beautiful thing you’ve ever heard and you sit enraptured. Long, blissful minutes go by until… a taxi turns a corner and speeds down the street – rushing to the airport. Trucks start to rumble in the distance. You hear a door slam and people talking loudly. You desperately look over at the old man and see that he’s still singing – but you can no longer hear him because the city’s noise is now drowning him out. There is a constant divine chorus that has reverberated throughout the universe since G-d created it. Our souls are actually a part of that choir and masterfully sing their assigned parts. If we want to be truly alive and actualize our fullest potentials then we must learn how to hear what our own souls are singing. In order to do this, we must first quiet the less refined parts of ourselves that constantly demand our attention. Interestingly, the easiest and most straight-forward way of accomplishing this is by simply falling asleep. Our minds are then much more open and receptive to messages streaming from our higher souls. The trick is to practice remembering our dreams and then strive to understand their meaning to us. Meditation and prayer also quiets the animal soul and allows us to tap into a higher source. Getting lost in activities that line up with our personal talents and genius is another effective way to hear the divine chorus. The point is that we need to actually do something in order to transcend our normal states of consciousness and open ourselves up to our souls’ full power. If we do not actually open the door, then we will never see what’s behind it – and we will never recognize our own true worth and significance. Ask yourself, “Am I doing anything today to go beyond the mundane and access this divine energy that both inhabits, and envelopes, my true essence?” If the answer is no, then try to come up with at least one daily activity that will accomplish this goal. It is a small investment that can be cultivated and expanded over time and will pay off a thousand-fold. Please be advised that the content of this website is for educational purposes only and should not be viewed as mental health or medical advice. If you are under the care of a medical or psychological professional, please consult him or her regarding any changes in treatment you may wish to undertake. We look forward to your participation in this website. Comments are welcome. We reserve the right to edit comments for length or content. Any comments containing obscene or inflammatory language will be deleted immediately. If you feel that you are having a medical or mental health emergency, call 911.